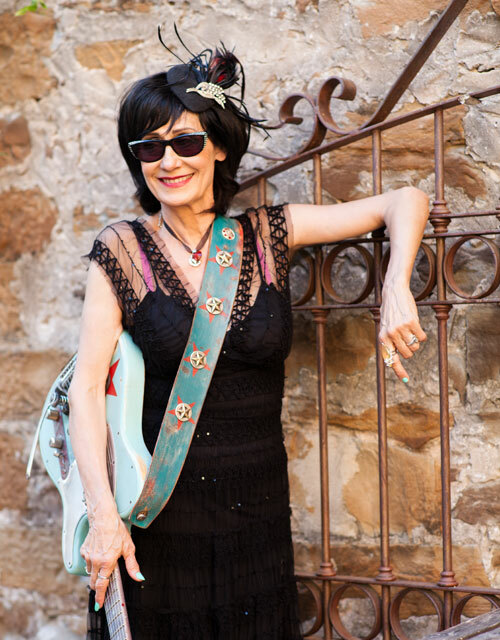 It’s telling that Rosie Flores’ e-mail handle begins “chickwpick…” In a long and eclectic career of singing, songwriting and performing, no phrase has ever more aptly described the San Antonio native. Over the course of a career that has spanned more than four decades, Flores has jumped feet first into punk rock (with her ’70s-era band, the Screaming Sirens), country music of both the Bakersfield and Nashville varieties, the Texas singer/songwriter scene, alt-country, straight-up rock, and rockabilly. So much so the latter, that her onstage moniker for years was “Rockabilly Filly”—but through it all, she was the "Chick with the Pick." Profiled in Guitar World, Premiere Guitar and Guitar Player magazines, Flores was cited by Venuszine as one of the “Top 75 Greatest Female Guitarists of All Time." Along the way, she released a number of critically acclaimed albums—among them, her solo debut, 1987’s Rosie Flores, 1995’s Rockabilly Filly, 1999’s Dance Hall Dreams, the acoustic live set Single Rose in 2004, 2009’s Girl of the Century and, in 2012, the aptly-named, self-produced Working Girl’s Guitar. In recent years, Flores worked with pioneer female rockabilly artists Wanda Jackson and Janis Martin, in an effort to help propel them back into the spotlight. In 2007, she won a Peabody Award for those efforts, and her narration of the rockabilly documentary, Whole Lotta Shakin’. Flores later produced the The Blanco Sessions, which would prove to be Janis Martin’s last recording. 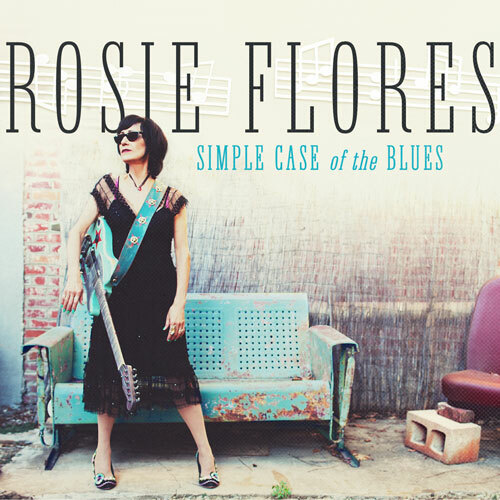 Simple Case of the Blues brings Flores full circle, and takes square aim at a genre she has only touched on in the past. She lends her soulful voice and fiery guitar to songs by Roy Brown, Wilson Pickett, Heath Wilson, and a spate of new originals. Produced by songwriter/guitarist Charlie Sexton (Bob Dylan, The Arc Angels)., with an assist by guitarist Kenny Vaughan (Marty Stuart, Lucinda Williams), Simple Case of the Blues was, to hear Flores tell it, a long time coming: “I got infatuated with the blues in high school,” says Flores. “It was the first music I ever played."